Recently we've been involved in and focused on a number of community atrial fibrillation patient events. As we plan for each, we try to share what we have learned in previous events so each event can run as smoothly as possible. Most of these comments are based on things heard from patients, but it's time to reach out and ask for your input. Here is what we have gleaned from past events. These comments are not reflections on any specific events. Find a venue that is easy for us to access. Remember that many of us are in afib all the time, or may be in afib at the event. It helps if the venue is easy to find and there is convenient parking, or free valet parking, so we don't have to walk so far. Our afib and beta blockers tire us easily and keep us exhausted. Refreshments are always appreciated, but do remember that many of us must avoid certain foods and beverages because of our afib. Help the doctors make their visual materials patient-friendly. Test the AV equipment to make sure that those with vision and hearing issues can still see and hear everything. Use slides created just for patients. Please let the marketing folks help you make them patient-friendly by removing complicated terms and simplifying diagrams and pictures. Don't use any slide you would show another doctor. Tiny print is impossible for us to read as some of us have vision problems caused by our afib drugs. Arrive early, not "fashionably late", which just makes you look unprepared. Pre-load and test your slides and videos before we get started so you don't have to fumble around to make them work. Videos are especially notorious for not working with projectors and we really would like to see what you had planned to show us. When things don't work, you look unprepared and we wonder if that applies to your office and procedures. However, it can be very entertaining to watch you improvise when things go wrong. Avoid using confusing medical jargon and just use simple terms that we know, like catheter ablation and surgery. Slow down when you're talking. We may be straining to hear you and to process medical terms that are new to us. If you have an accent, we are trying even harder to translate what you say before we can understand it. Avoid overloading us with too much information. Distill it down to what we need and skip the rest. Marketing can help with that. Don't go on too long or you'll lose our attention and our beta blockers will kick in and put us to sleep. Use simple drawings or animations, if you can, to make it easier for us to understand. Videos of procedures, echocardiograms or EKGs, and 3-D images of body parts are hard for us to understand because we haven't been trained in them and have no idea what you are showing us. Don't try to impress or dazzle us with your brilliance — save that for your doctor colleagues. What we want is for you to care about us, communicate with us, and be able to solve our unique afib problems. Realize that afib patients are at many different levels of understanding. While some of us do lots of research and understand afib quite well, many of us are new to it. If you presume that we all use the Internet for research and know a lot about our afib, you'll aim way over the heads of 80-90% of us and will lose us. Those of us that have studied afib don't mind a review of the basics and if we have sophisticated questions, we'll come ask. Putting on an afib patient event can be simple or can involve a huge effort, but regardless of what level of effort is involved, patients should leave feeling educated and more empowered to take charge of their afib. So afib patients, am I right or wrong, and what did I leave out? 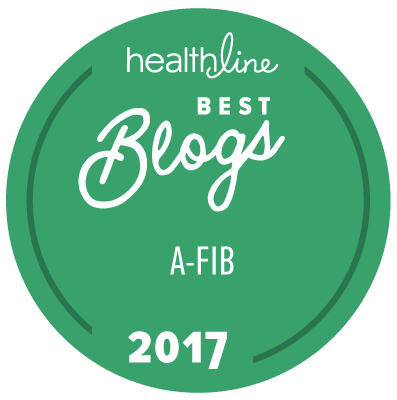 Please share your comments over at the Atrial Fibrillation Blog.